For a kitchen to be everything you need it to be you need reliable kitchen fitters in Stafford. Throughout the year’s the kitchen has been more than just a place to cook and wash up. The kitchen is a social hub for the British home, a place where families talk about their day. Help their children with their homework. Catch up with friends and family and so much more. Simply take a look at any television show over the last 50 years and there is always a kitchen setting, further illustrating the impact they have on the modern home. Your kitchen needs to work in tandem with your life and not restrict your lifestyle. No matter if you have limited space or plenty to work with, our kitchen fitters in Stafford will provide the kitchen of your dreams that will not only enhance your life but add value to your home. What our Kitchen Fitters in Stafford can do for You! 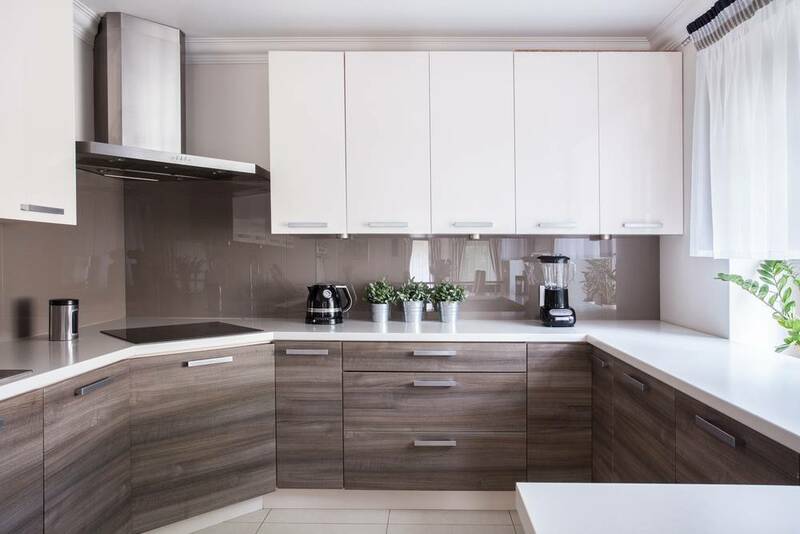 Our kitchen fitters in Stafford have accumulated a number of years’ worth of experience, designing the building and installing kitchens of all styles and ages. Whether you’re looking for a sleek modern design with straight lines and bold surfaces with splashes of colour. Or a more traditional cottage design with wooden cabinets and neutral/ natural colouring. No matter your criteria our team can help. Here at Ian’s Property Maintenance, we’ll provide you with CAD drawings of your new kitchen, with 100% accurate measurements and requirements taken into consideration. You’ll have the final say on your new: Worktops, Cabinets, Handles, Sink, Taps, Lighting, Accessories, Plug & Appliance Location. If you’re looking to enhance your home with a new kitchen, then get in touch with our kitchen fitters in Stafford today. In addition to our kitchen fitting service, we also complete property maintenance services for all areas of the home.